Graduated with his Doctorate of Physical Therapy in 2012. Kevin is passionate about using his education and skill set to help others achieve an optimal state of health and wellness. He specializes in joint manipulation, dry needling and manual therapy techniques designed to address restrictions of the soft tissue (muscle, connective and myofascial restrictions). Received her Doctorate of Physical Therapy in 2012. 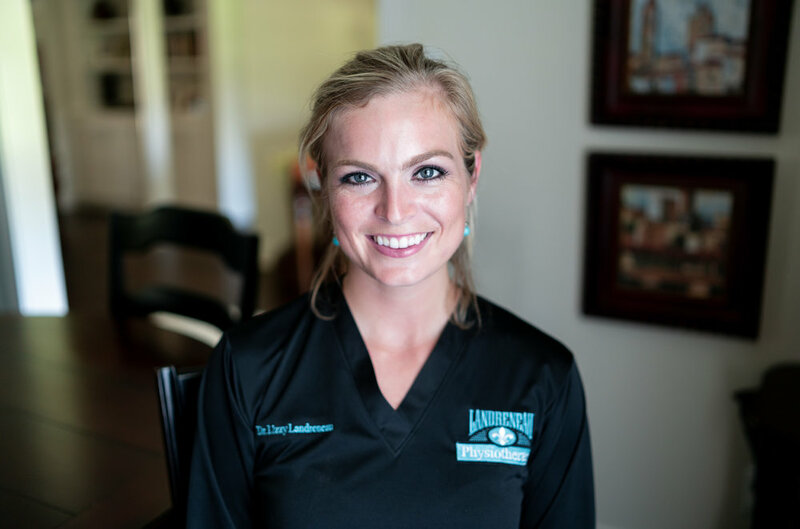 Lizzy is currently the office manager at Landreneau Physiotherapy. She is passionate about the wellness and prevention aspect of physical therapy as well as sports performance related injuries and rehabilitation methods. A technique used by specially trained Physical Therapists for treatment of pain and movement impairments that are the direct result of myofascial, muscle tissue and connective tissue impairments. Dry needling involves a thin filiform needle that penetrates the skin and stimulates underlying myofascial trigger points and other soft tissues that are not manually palpable. Dr. Kevin Landreneau has been trained by the University of St. Augustine and the Spinal Manipulation Institute in various techniques of joint manipulation utilized to restore normal joint mobility and alignment. Detailed analysis of human movement by a specially trained doctor of Physical Therapy with the goal of identifying abnormal movement patterns or compensations. Once abnormal movement patterns are identified the Physical therapist will then further examine to identify the musculoskeletal cause of the movement dysfunction and will treat accordingly. A hands-on technique involving the application of gentle sustained pressure into the myofascial connective tissue restrictions to eliminate pain and restore motion. Each client of Landreneau Physiotherapy will be provided with a home exercise program developed especially for them to address identified deficits with goal of restoring movement dysfunction.